It was very exciting to present our technology to Limagrain CEO and Board of directors at HM Clause UC-Davis Life Science Innovation Center. We had 40 board of directors came from France to visit to see HM Clause facility in Davis. Nemastim: how we use it to improve the efficacy of the beneficial nematodes which are used as a biological control agent to control insect pests. 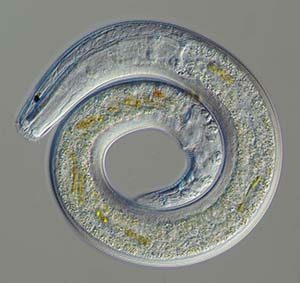 We showed live emerging beneficial nematodes from consumed insect host cadaver. They are really remarkable. The insect you see is not insect anymore. It is actually full of beneficial nematodes. 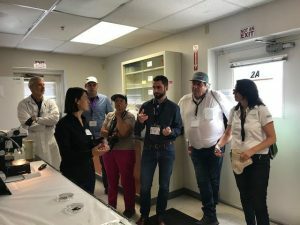 ALACHUA, Florida and DAVIS, California – June 21, 2018 – Pheronym, a bio-ag-tech pest control company, has received the Florida-Israel Innovation Partnership Award for its nematode focused pest control solution. The $300,000 award will help the company conduct field tests of its proprietary eco-friendly solution with a variety of produce to determine its efficacy for use by astronauts in the future colonization of the Moon and Mars, as well as for applications here on earth.  Pheronym is an ag-biotech pest control company which enables pesticide-free farming. The company’s bio-remediation process uses a new pheromone to control plant-parasitic nematodes (microscopic roundworms) as an eco-friendly way and also to eliminate pest insects. Learn more at https://www.pheronym.com.